As a prelude to a smooth election the military junta has been pressuring the ethnic groups to transform their armies into border guards under the leadership of the Burmese Army, and to form their own political parties to contest the forthcoming elections. Most of the ethnic armies (particularly the stronger ones such as the United Wa State Party (UWSP), the Kachin Independence organization (KIO) and the New Mon State Party (NMSP) have refused to be transformed into border guards and to contest the 2010 election. The few groups that may be taking part in the elections are perhaps hoping to take advantage of the political space made available, particularly at the regional level. 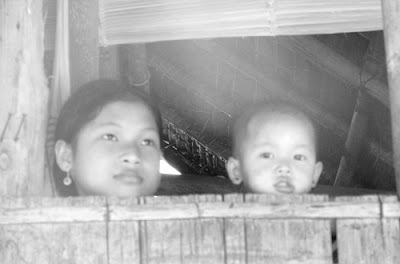 Many fear that once the 2010 elections are over and the new constitution is in force, the ethnic minorities will lose the few rights and privileges they have been enjoying until now. The Constitution sets out a “self administered division” for the Wa and UWSA (the biggest of the ethnic minorities with 15,000–20,000 fighters) and plans to create 14 assemblies in areas that are home to the major ethnic groups, making the first offer of political space to the non-Burmese. However the regional assemblies will be under the supervision of the junta, which has the power to appoint one-fourth of the members to each assembly, as well as the chief minister of each region. With such provisions the ethnic groups will lose their right to choose their chiefs and their self-determination rights, and hence their opportunity to voice their dissent. Some analysts have predicted that the civil war of six decades now in its ebb may erupt in full swing if the military junta is not able to settle the ethnic minority issues before the election. It is incumbent on the ethnic minorities to come together and pose a united front if even some semblance of autonomy is to be achieved in their areas. In the run up to the election, there have been several bomb blasts in Burma. 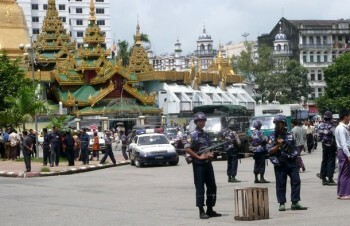 A bomb attack on the Burmese New Year killed at least 15 people in Yangon and injured many others, including the regional commander of the Burmese Army, while a series of explosions were reported at a hydroelectric project being jointly built by a Chinese company in the north of the country, the latter thought to be the work of anti-government groups. There is no doubt that the constitution is meant to perpetuate Military Despotism because the military is to be entrenched in every institution of the state. On the other hand, this constitution is also meant to establish an “Authoritarian Centralist” government. There is much concern that it will deny all democratic and human rights, as well as all rights of ethnic nationalities. The Burmese military junta expressed on 12 May 2010 that Burma has no need for foreign observers to monitor its first elections in two decades, despite international concerns that the polls will lack legitimacy. There have been concerns from aid agencies that the upcoming election could see a growing number of refugees fleeing to Thailand, Malaysia, Bangladesh and China, due to alleged government repression, poverty and low-level ethnic conflict. Ceasefires between the military government and ethnic groups were also deteriorating. The flow of refugees from Burma to Thailand, Malaysia and other countries has cost Burma’s neighbours millions of dollars in food and humanitarian assistance. 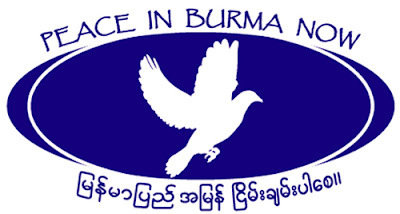 The Burma Refugee Organization calls on officials of impacted ASEAN countries to measure the financial cost of hosting refugees displaced from Burma, and to request financial compensation from Burma’s military junta for costs incurred in caring for the refugees. It asks the government of Malaysia to address the trafficking, selling and slavery of Burmese and other migrants within Malaysia and across its border with Thailand. As a signatory to the Convention on the Rights of the Child and the Convention on the Elimination of All Forms of Discrimination against Women (CEDAW), Malaysia is urged to consider alternatives to detention for refugees and asylum seekers, especially for women and children. ASEAN has a major role to play in the elections, however flawed it may be. It has to function as a link between Myanmar and the international community and vice-versa. Myanmar can be persuaded to have observers at least from ASEAN. The international community, while exerting pressure for release of political prisoners and for the elections to be inclusive, free and fair, should be prepared to interact with the new government and seek opportunities for positive changes towards democracy. The Burma Refugee Organization and The Best Friend Education Project are extremely disappointed about the junta’s preparations for the upcoming elections and urge all concerned parties to exert pressure in order to ensure that the Burmese military regime is not able to make the upcoming elections a complete sham.